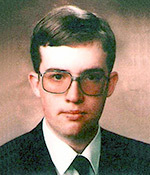 The 1989 unsolved homicide of Craig Lane. 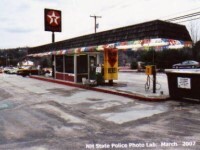 Craig Lane, age 17, was working at the Texaco Station on Route 202 in Peterborough when he was killed during an apparent robbery. The robbery took place at approximately 5:30 p.m. on January 8, 1989. The assailant stabbed the victim and stole money from the gas station. Customers saw a person fleeing the scene at the time. 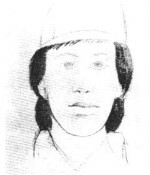 The person was identified as a white male in his later teens to early twenties, approximately 5'10" tall, slim to medium build, with brown medium-length hair, wearing a red jacket with a blue stripe around the chest area, blue jeans, and a dark baseball cap. A composite sketch of the suspect is below.